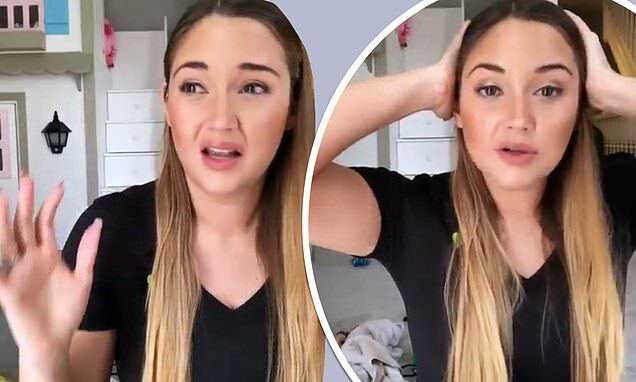 Jacqueline Jossa has spoken out against internet trolls who have sent her cruel comments about her appearance and personal life. The actress, 26, took to Instagram and shared a video where she revealed she turned off comments on her pictures due to abusive messages she received. She said: 'You might have noticed that I have turned the comments off on my pictures. Jacqueline added that people are not subjected to insults by strangers on the street so she doesn't understand why it happens online. She said: 'You don’t get constant different people coming up to you on the street saying "you’ve put on weight, you were so much better looking when you didn’t have kids or when you first came on to Eastenders", or, "you’ve gone downhill, no wonder your husband doesn’t wanna be with you", and stuff like that.